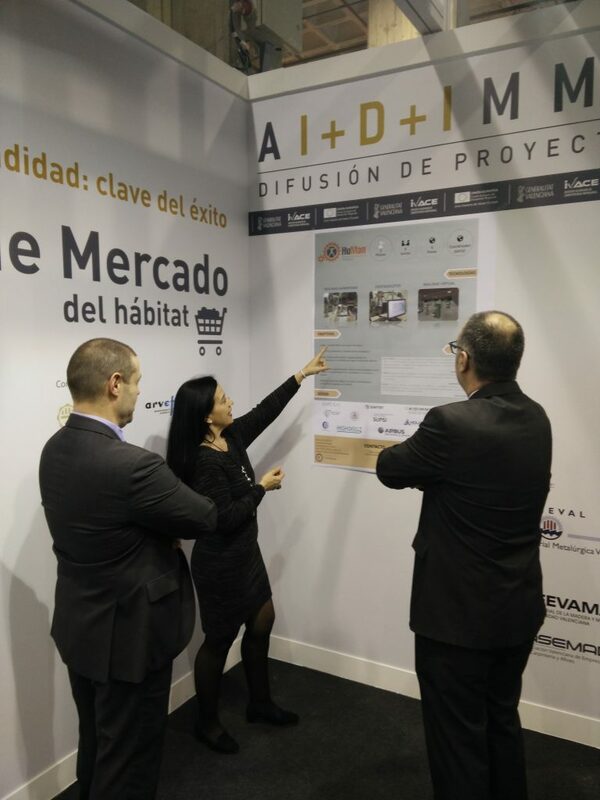 María José Núñez introducing HUMAN to attendees at AIDIMME’s booth at CEVISAMA fair. CEVISAMA 2017 35th International Exhibition of Ceramics for Architecture, Bathroom and Kitchen Equipment, Natural Stone, Raw Materials, Frits, Enamels and Ceramic Colours, Tiles and Bricks, Materials and Tooling for Flooring Tiling and machinery”. 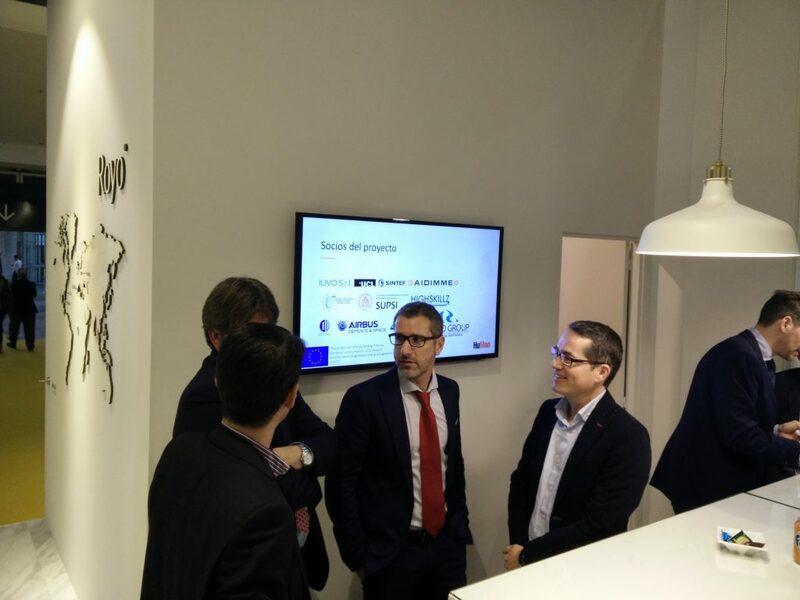 Visitors listening Royo’s R&D Director, César Taboas, explaining HUMAN project at Royo’s booth.